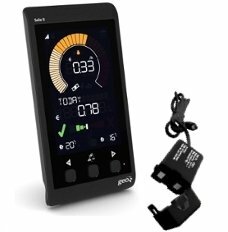 Please be aware the Geo Solar Solo II PV Monitor is supplied with a CT Clamp. Please search ' Geo Solo II PV (LED Sensor Version) ' for a unit supplied with Sensor for pulse output. 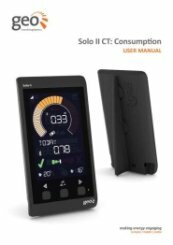 The Solo II Current Transformer (CT) variant monitors household consumption. The CT clips onto your mains incoming live cable.